The process of building a website and implementing SEO tactics to increase visibility and page ranking has many layers. In addition to producing factual content, you have to incorporate things like link building to help improve the authority of your site in the eyes of Google’s algorithms. In fact, building high-quality links may be one of the most critical aspects of the SEO process. There are various ways to achieve this, so it is essential to take time to learn as much as you can about link building. What Exactly Is Link Building, Anyway? To understand how to build quality backlinks, you have to dissect the anatomy of a link first. A hyperlink, better known as just a “link,” is the string of text used to navigate to a specific website. Link building is the process of obtaining links to your site from other web pages online. But keep in mind, that not all links are created equally and certain links can make or break a website when it all comes down to it. This is an essential part of SEO because search engines use backlinks to crawl the index of a website and create a connection between the sites. The search engine will crawl each page individually as well as the entire site as a whole. Ultimately, this is one of the most challenging areas of search engine optimization, which can provide a leg up on the competition if you can accomplish it correctly. Start of the link tag. This part is known as the anchor tag, and it lets the search engine know that a link is to follow. Referral location. Starting with “href”, which is shorthand for “hyperlink referral”, this is the actual URL to the page they are linking to. This may not always be a website; it can also link readers to an image, a PDF file, or something similar. You may also see a link with a “#” sign in front of it; this is a local link which redirects to another area on the webpage you are currently viewing. Anchor Text. This is the visible part of the hyperlink that the audience clicks on, redirecting them to the associated webpage. It is often formatted with blue font and underlining to help it stand out from the rest of the text. Depending on your goals, it may be a good idea to use keywords in your anchor text. Close of the link tag. Simple enough, this signifies the end of the link to any crawling search engines. In the early days of the Internet, companies like Google were still developing ways to understand the validity of web pages better. At the time, there was only PageRank. Created by one of Google’s founders, this algorithm would go on to become a vital part of SEO tactics. At the time, however, it was used to measure the quality of a website, using none other than the links leading back to it (in addition to a few other factors). The idea behind this being that a backlink was a dependable way of determining the authenticity of a site, sort of like a voucher from the website using the link. In other words, Google believed that incorporating a link within their page to another URL would ultimately be a vote of confidence to that page’s content. It is a recommendation, of sorts, so it stood to reason that a site’s owner or operator wouldn’t take the time to incorporate that link if it wasn’t worthwhile. Eventually, SEOs were able to identify this and manipulate it to their advantage. Shortly after, however, Google caught on and updated their algorithms. After a search engine like Google crawls a website, they add it to their index of other millions of web pages. When you search something on a site like Google or Bing, they check with all those indexed pages. Within a couple of seconds (if not less), the SERP displays the most relevant results, in order from more reliable to least reliable. One of the ways it determines this is with your links. Therefore, it stands to reason, that the more strong backlinks you have leading to your site, the better your chances of ranking high on SERPs. What About Links You Don’t Want Crawled? Thankfully, there is a way to ensure that some backlinks on your website (or others linking to your page on a low-quality site) don’t negatively affect your scoring. With websites featuring blogs, social media pages, and the guest comments, the possibility of someone sharing links on a website that is irrelevant to yours or has a poor page rank score is great. Note the incorporation of the attribute after the URL within the tag, and before the anchor text. This tells Google and other search engines that may be crawling the site not to count the link towards the overall ranking of the page. Another acceptable use of the no-follow attribute is on paid advertisements, as it wouldn’t be fair to reap the benefits of an organic result from a paid ad. It is also acceptable to use in press releases, advertorials, article directories, and similar resources. Now, while no-follow links may not contribute to your page rank, they can still be beneficial in helping to bring traffic to your website. After all, that is the point of marketing tactics like paid ads and press releases! However, to build quality backlinks, no-follow links will not do you any good. 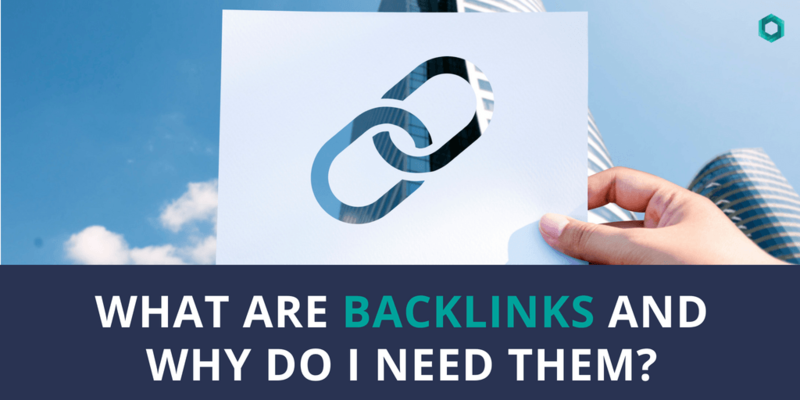 How Else Can I Benefit From Link Building? Link building is not just beneficial for your page ranking! The process of generating high-quality backlinks can help with other aspects of your business, as well. Referral traffic, for example, is probably the most obvious benefit. In addition to boosting the strength of your site, a link on another (likely relevant) website can significantly increase your chances of generating a new traffic source. In this case, it goes beyond the SEO value and extends directly to the customer value, which can be a huge bonus. For example, if you specialize in athletic gear, and a well-known sports blog includes a backlink to a page on your site that highlights a specific piece of gear, you may very well see an increase in sales on that item. After all, a link to your site is now directly accessible to an audience that has an immediate interest in your services. Building industry relationships is another bonus that may come from the link building process. In many cases, you may find yourself reaching out to another website that may specialize in a similar, related niche or field. In fact, a large part of link building is just that, particularly if you have just published a new blog or infographics that may be helpful to other parties. This inter-industry communication not only provides you with those links you were looking for, but it allows you to develop a repertoire and engage with leading influencers in your area or your field. It can also help you build your brand, by establishing you as a reliable resource in your particular field of interest. If you have generated a significant amount of high-quality links leading back to your site, it can help others see that you are an authority in your field, which can help increase your popularity and importance! It is crucial to stress the importance of link building versus link earning. Actively requesting backlinks on relevant sites holds less weight than actually gaining your backlinks by producing worthwhile content. Furthermore, before you seek out backlinks, you will need something worth linking back to. Whether you are creating pages with the sole purpose of link building, or if you are hoping to generate backlinks to previously established pages, you will still need to make sure the content is worthwhile. This is where good content, adequately researched keywords, and a great user experience can come into play. Still Having Trouble Building Links? Don’t worry, even trained SEO professionals have trouble building quality backlinks! Thankfully, the team at Clicc Media Inc is well-versed in this area and can help your website boost its page rank with an influential online marketing campaign. We can help implement search engine optimization, content marketing, and much more! Contact us today at 954-271-3111 for your complimentary one-on-one consultation.